The Amazon Appstore is the place to download the latest Android apps and games, including favorites like Minecraft – Pocket Edition, Pinterest and Candy Crush Saga. It comes pre-loaded on the latest BlackBerry smartphones, with BlackBerry 10 OS version 10.3. 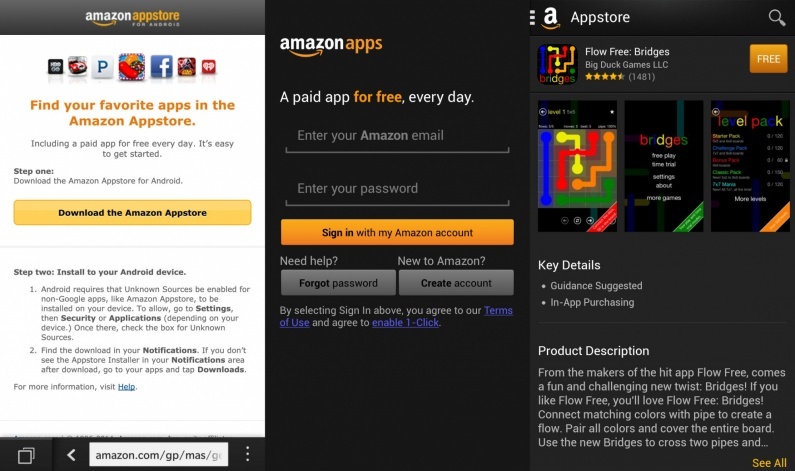 If you need more information please contact the developers of Amazon Appstore for BlackBerry (Amazon.com, Inc.), or check out their product website.